In my spare time (ha!) 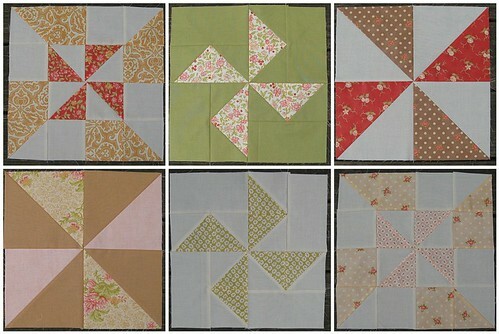 I've been trying to play catch-up with Rachel's pinwheel sampler quilt along that's she's hosting on her blog, p.s. i quilt. I decided to take this opportunity to make quilts for my twin daughters. Ever notice that, as quilters, we are always making things for others but rarely for ourselves or the people in our own families? Though I tend to favor modern fabrics, I always love the vintage charm of the Fig Tree Quilts lines for Moda. I thought these would be perfect for my little girls' room, especially as we prepare to move to a new home. I also LOVE the fact that Moda makes its Bella solids line in some Fig Tree-specific colors for easy coordination. I got mine at the Fat Quarter Shop. I love how they're coming together so far, and I hope to be able to catch up soon. We're looking forward to sunny days with temperatures in the 80's here in NC this weekend ... should make for a beautiful holiday weekend. Anyone have any fun plans? Your daughters are so lucky! Those blocks are beautiful! 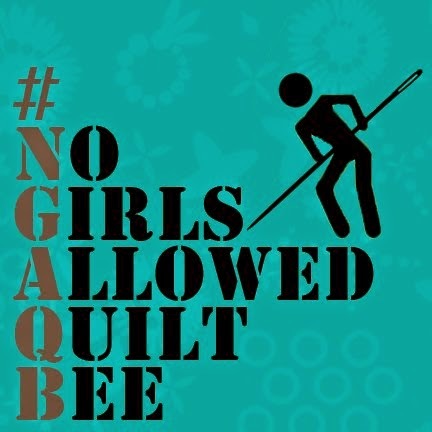 I have to say I must not be like most quilters because I have so many quilts in my house and my kids all have so many that I have to find others to make quilts for! I think your daughters are going to love these :) No specific plans this weekend, but I do want to get to the zoo soon before it gets too hot around here! Oh John, your blocks are lovely! What lucky girls! It's supposed to be sunny and mid-60s the next week or so here in CT, and I've got 4 days off. After getting all my errands done and out of the way the first day, my plan is to spend 3 glorious days sewing! I have a bee, 2 swaps, and a quilt-along to catch up on, and I finally have a little time. Hooray! So true. Why don't we make quilts to keep at home? Cannot wait to see the finished product! FYI...April buzz cut info is posted on the flickr thread. HI! I am really impressed! what you do is stuning!! !congratulations, you are one in a million... your wife is so lucky. I live in a country where the man do not sew... I speak spanish but I understand english. if you can't understand me , I'm sorry, but what I want to tell you, is that you are amazing! wooowww!!! keep on sewing. Looking good and I love the fabrics! look at those amazing blocks. I just found your blog, and I love it!!! Your girls are lucky, nothing like a homemade quilt! Keep up the great work, I'll be checking back often! Those are turning out beautiful! 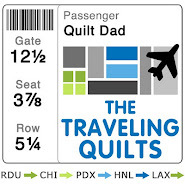 Your daughters will treasure their quilts. Your blocks are looking so pretty. Love how you are incorporating the solids. 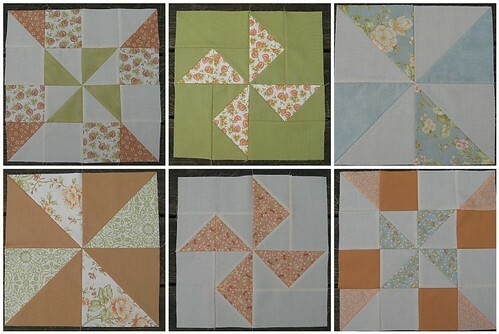 Your pinwheel sampler blocks are looking fabulous! I'm doing this quilt-along too (I'm two blocks behind too, soon to be three -- how did that happen?). I love your fabric choices! Those are going to be beautiful!